Let these song collections soothe the sting of your Christmastime heartbreak. Dealing with heartache is tough especially during the holidays when everyone seems coupled up. The sweater weather just doesn't seem enticing to you with no one to curl up with and gift shopping is not that thrilling knowing that you wouldn't be getting any presents from a special someone. Alas, you can’t bring your life to a pause just because your love life is in shambles. However, you can play these #feels song collections to help you conquer the Christmas blues. The 90s is an era of boundless optimism, a time when life was far simpler. 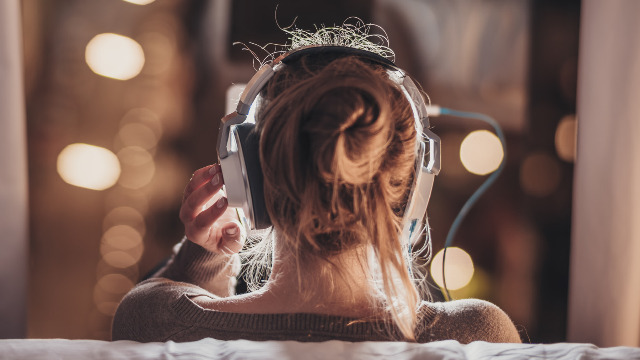 This decade is a lot like your childhood blanket, the one you always reach for when you need an extra dose of comfort, a feeling that this playlist perfectly captures. Take comfort in knowing that you’re far from being the only person nursing a broken heart during the holidays. In fact, some of the most popular Christmas songs are about people like you. So feel free to listen to this playlist on repeat—sometimes, a girl just has to cry out all the pain from your system. The best way to get over your heartache is to pour yourself into your career. For once in your life, being assigned three back-to-back reports feels more like a favor instead of a chore. Of course, a collection of peppy, girl-power songs makes the grind that much easier to bear. The best present to give yourself this Christmas? The gift of letting go. Your ex was a toxic person anyway, so you’re better off without him. And when your company or family holiday party roll around, you’ll have more than enough reasons to belt these I’m-over-you songs at the karaoke. Here's one effective outlet in expressing your emotions creatively. Sing. For whatever message it is that you want to dedicate to your ex, there is surely a song that can perfectly express your feelings. Crying is good, yes. But there is also something fulfilling about having that emotional cleanse while singing along to your favorite heartbreak tunes. Since you will probably be taking a trip down memory lane, why not listen to tracks that can remind you of everything you've gone through this year? You can tune into your very own Top Hits of 2016 on this page.